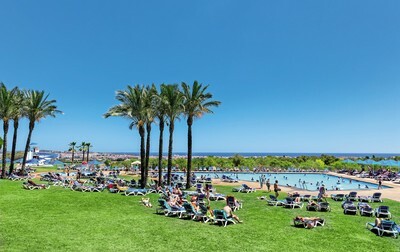 Spanning sixty miles of coastline, in just a few years the Costa Dorada has become the ideal camping holiday destination for families. Comfortably ensconced in one of our Spanish mobile homes or bungalows, you can enjoy living life the Spanish way and bask on one of the many sandy beaches. The most active campers will enjoy hiking or mountain biking through the landscapes further inland. 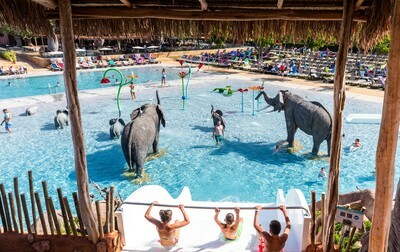 Fun-loving campers and the young at heart should visit the nearby PortAventura, Spain’s first theme park and Europe’s third. Located a few miles from Barcelona, our luxury campsites are the perfect place to begin your visit to the cradle of Gaudi. The capital of the Iberian Peninsula is home to many impressive buildings, including the famous Casa Batllo and the Sagrada Familia, both of which are UNESCO World Heritage Sites. 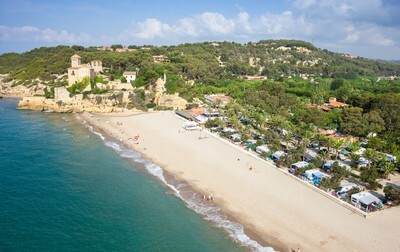 In Tarragona, the other must-see site along the Costa Dorada, campers can feast their eyes on its magnificent cathedral, the city walls, or its Mediterranean Balcony, 40m above the sea. Hungry campers can savour traditional regional dishes like escalivada, made with aubergines, tomatoes and onions, or Catalan cured meats. The Costa Dorada lives up to its reputation for warm summers, ideal for the seaside activities on offer not far from our starred campsites.